Lone Star Realty & Property Management Inc is a property management company specializing in residential sales, property management, and rental listings across various Central Texas locations. 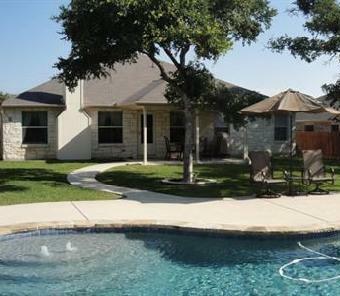 We are located in Killeen, and can help you in your search for affordable rentals in the region. By opting for our rental services, you shall gain access to a large selection of rental properties in and around Killeen. Our database of rental accommodations is constantly updated, ensuring that you have access to the latest information in the local real estate market. Whether you are a first-time renter, or a home owner moving back into the rental market, we can help you to find a home that is perfectly suited to your needs. We understand that each client has a separate set of requirements from a rental accommodation, which is why we first take the time out to understand exactly what you want. We shall require you to provide us with some basic information such as the expected rent, required facilities, preferred neighborhood, whether you want pets, expected duration of stay, number of bedrooms, requirement of garage/ garden/ backyard size, etc. you are searching for. This saves you from the cumbersome process of having to search multiple rental websites to find a suitable home. Once you find a house that interests you, we shall help you through the subsequent steps in the rental process, right from a thorough move-in inspection, to signing the lease. We shall provide you with the necessary guidance to help you get approval from the landlord, and shall also help to safeguard your rights as a tenant, by checking through the property inspection report, and cross-checking the lease terms. Our friendly and knowledgeable staff shall be there to assist you at every step, making sure that you are protected from common pitfalls that renters make, and also helping you to make the right choice of a rental accommodation. Contact us today at (254) 699-7003 to get started with the process of searching for a rental home in Killeen. Looking For Affordable Ft Hood Housing? Lone Star Realty & Property Management Inc. is a Killeen-based property management company, also dealing in residential sales and rentals across various Central Texas locations. If you are looking for affordable Ft Hood housing, we can help you to expedite your search and narrow down your options as per your budget and requirements. Having more than 40 years of experience in the real estate business, we provide you with the necessary professional guidance required to make a well-informed decision. We help you gain access to the latest rental listings in the Fort Hood neighborhood of your choice, making the process of finding a rental accommodation fast and convenient. When it comes to rentals, seeking the assistance of a professional can help you to save significantly and avoid the confusion that accompanies searching multiple databases. We specialize in homes, duplexes, townhouses, and apartments, and also offer various rental specials with facilities like garages, pet-friendliness, ceiling fans, ceramic tile flooring, etc. You can find the complete information regarding available rental accommodations in Ft Hood on our website, and also browse through multiple pictures of these accommodations. Once you find an accommodation that appeals to you, you can contact us for more information on it, and we shall guide you through the subsequent steps of getting it on rent. Having vast experience in dealing with tenants as well as landlords, we are well aware of the common mistakes that amateur renters are likely to make, and we ensure that we provide you with the guidance to safeguard you from these pitfalls. Being actively involved in the local real estate market, we have access to the latest information regarding accommodations that go on rent, which puts you, as our client, at the advantage of being privy to this information. You do not have to spend hours searching multiple websites for the best rental accommodation, since we provide you with a comprehensive database of rentals in the region, which is constantly updated. We understand that the process of finding a rental accommodation can be taxing and cumbersome, especially for a first-time renter. We are committed to ensuring that the process is smooth and convenient for you, by guiding you through all the critical steps, right from looking at an accommodation, to carrying out the property inspection, and finally moving in. Contact us today at (254) 699-7003 with information on the kind of rental accommodation you are looking for, and we shall help you with completing your search for it.